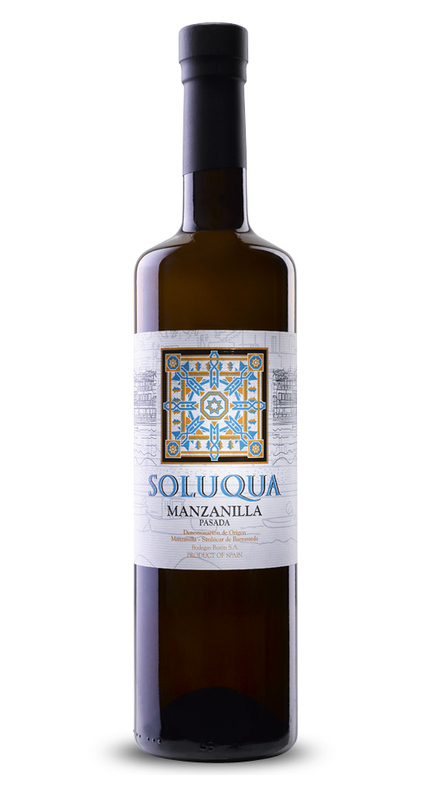 Type of wine: Manzanilla Pasada. Process and Aging: This wine comes from the ‘Palomino’ variety. Obtained by gentle pressure and subjected to complete fermentation. It’s 15% alcohol volumen obtained by biological aging must be undertaken in full in wineries located in Sanlúcar de Barrameda. Being a product called “pasada” is left to the end of the beginning of its natural oxidative aging, spoiling closely our yeast in bloom. The very special microclimate of our winery located at the mouth of the Guadalquivir River, foster the development of the ‘velo de flor’ providing a product of peculiar organoleptic characteristics. This biological aging continues for a period of three to four years in American oak barrels using the traditional ‘criaderas’ and solera system. Total Acidity: 3.5 to 5.00 gr / l.
Volatile Acidity: 0.15-0.40 g / l.
Glycerine content: <2 g / l.
Tasting Notes: Pale yellow color. Intense smell and frank old wood notes, a touch of faded flowers and hints of nuts. Delicate hints of biological aging. In mouth fleshy, very dry, with enough weight, excellent acidity and nice tour with a slightly bitter finish. Pairing: Mojama, anchovies in vinegar, cod, cold soups (Ajo Blanco and Salmorejo) and cured meats and Shushi. Storage recommendations: The boxes should be stored in a cool, dry place at room temperatura. Serve very cold between 7 and 9 ° C.
Development and Aging: The Fine wine is obtained from the total fermentation of grape variety Palomino. The base wine thus obtained leads to 15% vol. alcohol, in order to promote the development Veil Flower; the natural protection of the yeast will prevent oxidation of wine throughout his upbringing and confer very special organoleptic characteristics. This biological aging continues for a period of five years and takes place in American oak casks using the traditional solera system and hatcheries. Alcohol: 15% Vol Sugar. <2 g / l.
Total Acidity: 4.00 to 5.00 gr / l.
Volatile Acidity: 0.20-0.40 g / l.
Pairing: Ideal with seafood, Clams, Fish baked sausage and anchovies. Shushi, Tempura, bouillabaisse and Guacamole. Conservation and recommendations: The boxes should be stored in a cool, dry place at room temperature Serve very cold between 7 and 9 ° C.
Processing and Aging: Obtained from the complete fermentation of palomino grapes, our Amontillado is a unique wine, fruit of the fusion of two types of aging, biological and oxidative. This particular aging process begins, as in the case of ‘manzanillas’, with an initial phase called under ‘velo de flor’; throughout the early years in the ‘criaderas’ this wine acquires sharp notes and accentuates its dry palate. From one point, the disappearance of the ‘velo de flor’ causes a second phase of oxidative aging that gradually darken the wine and it will provide concentration and complexity. Alcohol: 19.5% Vol Sugar. <5g / l.
Total Acidity: 6.00 to 7.00 gr / l. Volatile Acidity: 0.6-0.8 g / l.
Tasting Notes: A dark amber colour with mahogany reflections, slightly reddish, with a glycerine and slow tear that fills the walls of the glass. On the nose the results of biological aging provides with some marine notes, varnish, peach pit, understory of pine forest, balsamic, fresh, chocolate and certain memories of carob gum. In mouth, it is powerful from start to finish, flooding the palate with aromas of raisins and fresh quince and a warm acetic point aftertaste, dry and fortunately very long. Pairing: Almonds, Morcón and Iberian ham, grilled asparagus, artichokes cream, sauteed mushrooms, smoked and white meats. Also with salmon, herring, roasted lamb and rice with rabbit. Storage recommendations: The boxes must be stored in a cool and dry place. Serving temperature between 12-15º. Development and Aging: Coming from the complete fermentation of musts palomino grape, odorous are “vocational” wines; the special structure showing the outset advise tasters classification bound oxidative aging. The initial heading to 17% vol. Alcohol prevents the development of flor, so the wine ages exposed at all times to the slow action of oxygen through the traditional solera system and hatcheries. The slow water loss through the walls of the timber boots promotes a continuous process of concentration, which makes the wine is winning in structure, softness and complexity. Alcohol: 20% Vol Sugar. <5g / l.
Total Acidity: 6.00 to 7.00 gr / l.
Volatile Acidity: 0.6-1.0 g / l.
Tasting Notes: golden amber color, dark flavors reminiscent of old .Nariz: attic, closet, varnishes, wood brandy … Forest and humidity, sandalwood and dulces.Cálido touches, surround, silky and velvety on the palate. Roasted flavors with figs and quince. Rounded feel, filled the mouth with a long aftertaste. Pairing: Cured Cheese (cake Asar, Manchego, Idiazabal and Parmesan) Stews and Bushmeat (Cheeks, Piglet and Cabbage Baked Jerez) Tataky Bluefin Tuna, bouef Bour Guignon, Coqau Vin and deer stew. Conservation and recommendations: The boxes must be stored in a cool, dry place Serve at room temperature (12-15ºC). Type of Wine: Generous Liquor. 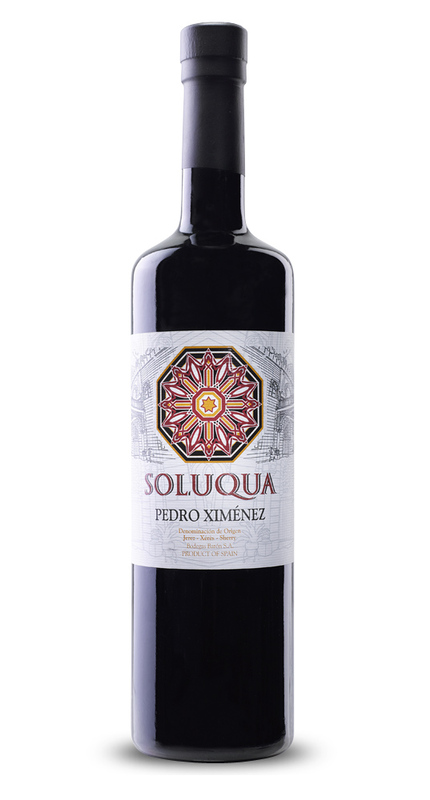 Grape Variety: Pedro Ximenez-Palomino Fino. Development and Aging: The Medium is a generous wine liquor made from a mixture or “pitch” of a generous wine with a natural sweet wine. Cuvées for pitching usually well amontillado or wine, even if they were aged mainly by oxidative aging for a period of 5-6 years, have also had a certain biological aging. Alcohol: 15% Vol Sugar. 45-115gr / l.
Volatile Acidity: 0.5-0.7 g / l.
Tasting Notes: From dark mahogany trim and tear iodinated dense stained glass. The nose shows raisiny, roasted, honeyed and licorosas notes. The palate has an entry with a certain density, good combination of sweetness and acidity and prevalence of raisiny and toast. Pairing: Blue Cheese (Cabrales, Gorgonzola, Stilton, Roquefort) Desserts and Ice Cream (Cheesecake, Ice Cream and Vanilla Nougat and Chocolate Black) Panacotta, Mascarpone Ice Cream, Creamy Mexican Café and Chile. Conservation and recommendations: The boxes must be stored in a cool, dry place Serving temperature between 15-19º. Grape Variety: Palomino Fino and Pedro Ximenez. Development and Aging: The Cream is a generous wine liquor prepared by mixing or “pitch” of liqueur wines oxidative aging (mainly odorous) with a significant contribution of natural sweet wine or rectified concentrated must.The entire process of aging is therefore oxidative nature and outcome pitching must have a content exceeding 115 grams per liter reducing material. Alcohol: 17.5% Vol Sugar. 115-140gr / l.
Volatile Acidity: 0,5-0,6gr / l.
Tasting Notes: Light Mahogany with iodized and amber hues and good gloss trim shows a large tear. Nose good volume of nuts, candy cola, soft notes of sweetness showing varnish and toast already at this stage with aldehyde and spirits sensations. Your input is very warm and doomed, it is tasty and slightly pungent, oily with good aromas of nuts plus a spicy touch, with excellent structure for a medium-long and pleasant finish. Pairing: Wedding Cake, Pate, Almond Dessert and Ice (Fruit Salad, Dates, Pastry, Bacon Heaven) Foie Gras, Mango Chutney, Curry Chicken, Tiramisu. Conservation and recommendations: The boxes must be stored in a cool, dry place Serve between 15-18 ° C.
Process and Aging: The wine Pedro Ximénez is derived from the grape of the same name, which is subjected to the traditional process of “soleo” to achieve an intense raisin fruit. After pressing the first grapes we obtain an extraordinary concentration of sugars and a certain level of colouration, which undergoes partial alcoholic fermentation by adding wine alcohol. It’s upbringing, exclusively from oxidative character, favours a progressive aromatic concentration and increasing complexity, while taking care not to lose the freshness and fruitiness typical of the variety. Sugar: > 210gr / l.
Tasting Notes: It presents visual memories of mature forests and dark and dense tear. Its aroma is sweet tour in the roasted coffee, honey, brandy and cherry liqueur. Many complex raisiny with a hint of citrus on the palate that gives complexity, although not hide too much sugar. Pairing: Blue cheese (Cabrales, Gorgonzola, Stilton, Roquefort) desserts and ice cream, cheesecake, almond cakes, black chocolate, panacotta, mascarpone ice cream. Storage recommendations: The boxes must be stored in a cool, dry place. Serve between15-19ºC. *Business hours: Monday to Friday – 7:30a.m. to 15p.m.